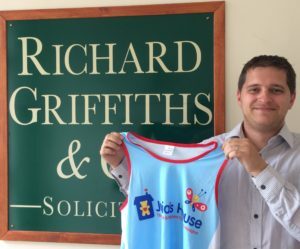 Legal Cashier running first full marathon in aid of Julia's House | Richard Griffiths & Co.
Richard our legal cashier is taking part in the 2017 Bournemouth Marathon on 7th October this year. This will be Richard’s first full marathon and he is doing it in aid of Julia’s House a very worthy cause. Julia’s house provide both practical and emotional support to families with children suffering with life-limiting or life-threatening conditions. They provide regular care to those families either in their own homes, within the community or within the Julia’s House Hospice.